The customers of Ikeja Electric Plc (IE) may once again experience the discomfort of extended darkness as members of the National Union of Electricity Employees (NUEE) have laid siege at the Company Headquarters in Alausa Ikeja and all its other offices across Lagos, reports ITRealms. The Union members who claim that the picketing of IE followed the disengagement of about 40 members of staff, have forcibly shut down operations at the offices thereby resisting access to IE personnel and customers who have attempted to gain access to the offices. 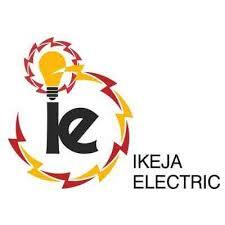 According to Ikeja Electric, the recent separation of staff, was due to varying actions which are not in furtherance of the overall company objectives. This protest in coming in the heels of the promotions of about 300 employees last week and the recruitment of over 500 new employees in the past one year. The promotion exercise cut across all cadres of staff, including members of the respective Unions in the organization. Speaking on the development, Head Corporate Communications Felix Ofulue, questioned the motive for embarking on the protest which he described as self-serving. “When NUEE chooses to cripple socio-economic activities of over a million households, for issues that can be resolved through dialogue, one then wonders if the motives are as selfless as they claim. How do you plunge a country’s commercial nerve center into darkness because of a few of your members who have been separated from the business for cogent reasons? It is really appalling. It’s an abuse of privilege to picket.” he said. “Imagine that our employees in Alausa Injection Sub Station were chased out of the facility by the Union and they had to shut down 9 Feeders that supply power to Ikeja and its environs on safety grounds. This has resulted in an immediate blackout for at least 3000 customers”, Ofulue concluded.